as Dejawolf so clearly said to me "you danified it" yes i have danified the damn thing... Comes with a woodland and Winter version.. so far no desert. maybe later. the file it self does include a normal which removes the x part on the doors. 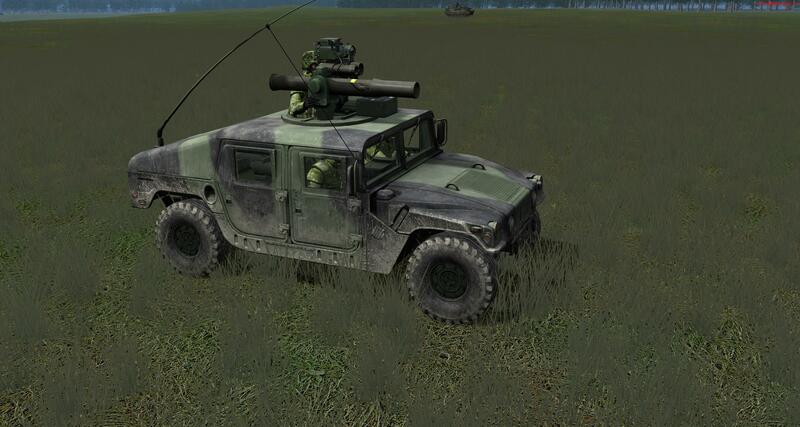 which i have removed so you can use it or not.. if you want to use that normal as part of your game, you have to go to "(yourdriveitsinstalledat):\SB Pro PE\textures\woodland\normals and replace the hmmwv.dds file thats in there by either rename the original to something or overwrite it.